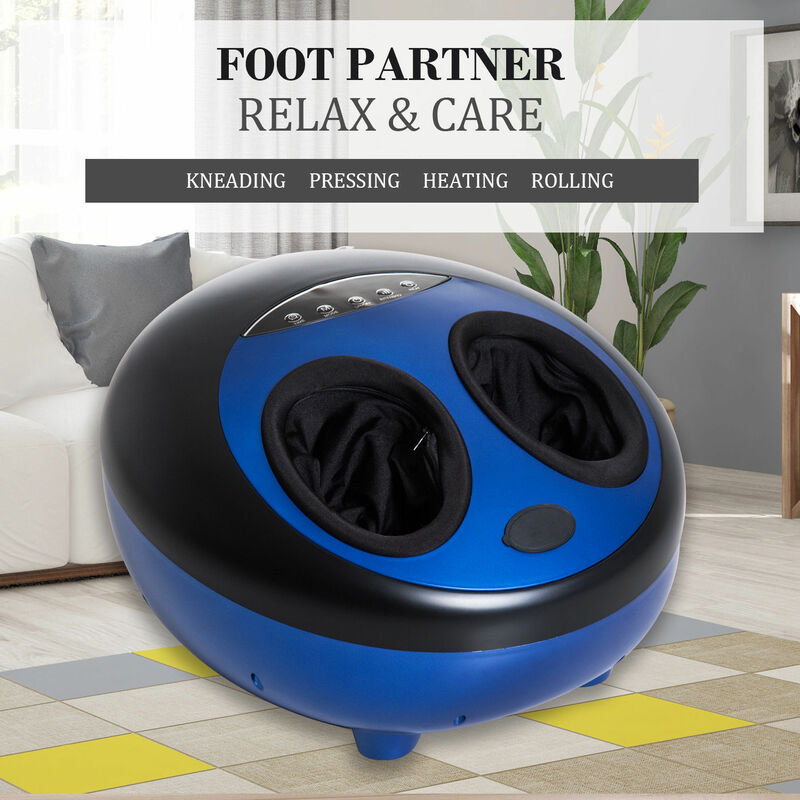 This Home use adjustable foot massager from HOMCOM is an ideal solution to relax and improve blood flow to your feet in the comfort of your room. The massager has 3 rolling balls with 3 selectable modes for deeper effect on muscles depending on your requirements. To make it more effective it also includes a heating function that can be manually turned on or off offering a soothing and relaxing experience. Now you can enjoy a foot massage without having to make a booking at salons and spending much! • The foot massager has 3 switchable modes: refresh, relax and health care. Vibration, air compression, and rolling balls are alternatively launched to massage your soles, ankles, and insteps. • The cloth cover of this massager is removable for easy washing. It is designed to suit most feet. • Ultra-sleek and lightweight. Slide it under the bed, sofa or into any closet after use. • Silent and quiet when at work.